At 3M, we apply science in collaborative ways to improve lives daily. With $32 billion in sales, our 90,000 employees connect with customers all around the world. The UK and Ireland is home to one of the largest 3M subsidiaries outside the USA, employing 3,000 people across 17 locations, including nine manufacturing sites. Products manufactured in the UK include coated abrasives, personal safety equipment, adhesive tapes, industrial microbiology products, drug delivery systems, high-performance coatings and imaging systems. ABB is a leader in power and automation technologies that enable utility, industry, and transport and infrastructure customers to improve their performance while lowering environmental impact. The ABB Group of companies operates in roughly 100 countries and employs about 140,000 people. ABB Cable Accessories factory and Technical Lead Center is located in Alingsås, Sweden. With a history of over 125 years they have provided the world with safe and reliable connections. The products are cable joints, -connectors and -terminations for voltages up to 420 kV. ABB in Alingsås also offers professional training for certification of installers – both for medium and high voltage. 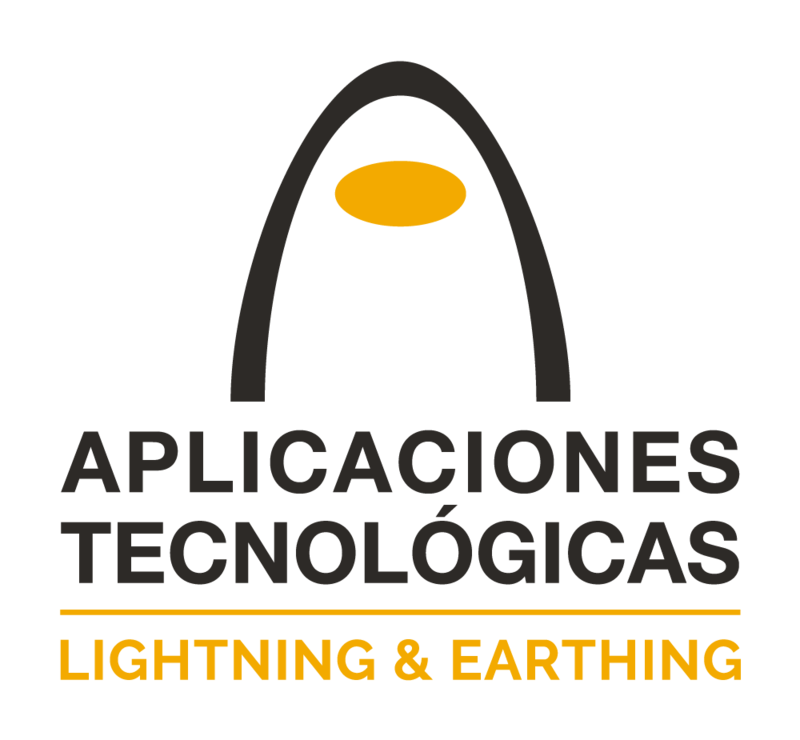 Based in Valencia, Spain, Aplicaciones Tecnológicas (AT3W) have more than 30 years experience leading the way in the earthing and lightning protection industry. With more than 100,000 protected sites in over 80 different countries, AT3W are proven industry leaders and a trusted partner for some of the biggest companies in the world. Dedicated to innovation, AT3W invest heavily in research and development to ensure they consistently offer the most efficient and cutting edge product solutions to the market. BAND-IT hold a leading position in the manufacture of proprietary band clamping systems, predominantly in stainless steel. These include: Band and Buckles, Brak-Its, Preformed Hose Clamps, Stainless Steel Cable Ties, Identification Systems and a range of hand and pneumatic tools. Markets served include: Electrical, Marine and Offshore, Telecoms, Subsea, Electronic, Municipal and Utilities, Hose and Industrial, OEM and Automotive OEM. Boddingtons Electrical manufactures 1000V insulated hand tools in the UK and supplies electrical safety products including insulated gloves 500V – 36kV, dielectric boots, switchboard rubber safety matting up to 36kV, cable preparation tools for LV/MV/HV cables, cable guard for protection of vertical cable runs on walls/fences/telegraph poles, cable protect, safety rescue hooks LV/HV, PPE, and a range of arc flash products. In addition we supply single and three phase temporary earthing cables and clamps. Registered to ISO 9001 status. Cembre is one of the leading European manufacturers of electrical terminals, associated tooling, terminal and distribution blocks, cable glands and marking systems for OEMs, panel builders and contractors in the Industrial, Transportation, Utility and Public sectors. Extensive know-how, strong R&D activity and continuous innovation in manufacturing technologies and product specification, matched with expert and efficient international sales teams and sharp focus on customer needs, guarantee high-quality products that are reliable, durable and safe. From its UK logistics, service and manufacturing facilities located near Birmingham, Cembre Ltd actively supports customers throughout the UK and Ireland and also offers design and production capabilities for customised termination products and cable assemblies. Eurotech Mouldings Ltd have been in business since 1989, specialising in the in-house manufacture of specialist products and trade moulding from 5-450 grammes. Eurotech Mouldings have been manufacturing and supplying Jointing Technologies with a range of cable fixing cleats for more than 25 years and gained ISO 9001 accreditation in February 2000. As well as producing Eurotech Cleats, we supply a varied customer base with plastic injection moulded products. Customers include the medical sector, window manufacturers, signage accessories, electronics / electrical and merchandise handling equipment. Mettex has been manufacturing copper braided solutions for over 40 years. ISO9001:2008 approved, we have built our reputation on a complete commitment to quality and service. We pride ourselves on manufacturing the finest quality braided products to a vast range of industries, including; jointing kit components, aerospace & defence, utilities, transport, renewable energy, to name a few. Our braided products include:- round and flat braids for earthing and power continuity, strand and screening braids and bespoke added value items, such as flexible connectors and busbars, using a variety of wire materials such as copper, stainless steel and others. Nexans is a global leader in cable manufacturing with an industrial presence in over 40 countries and commercial activities worldwide. With around 23,000 employees globally, we are active in all markets with one of the largest product ranges. These include the smallest wires in aircraft engines, building cables installed in the world’s most iconic structures, specialist Oil & Gas cables for off-shore rigs to extra high voltage submarine power cables used for continent to continent interconnectors. With four research centres and 1.5 new patents per week (on average), Nexans are also leading the way in product innovation and technology development. A worldwide leader in the energy and telecommunication cables industry with a strong position in high technology market segments, a global presence across 39 countries with 56 plants and 12,000 employees. Prysmian was formed by the Pirelli Group following its acquisition of BICC in 2000 and continues to invest and develop the market leading portfolio of BICON branded cable accessories which consists of Cable Glands, Cable Cleats, Cable Lugs in addition to LV/MV Joints and Accessories. Tyco Electronics with an annual turnover of $12 billion, is a global provider of engineered components for thousands of consumer and industrial products; network solutions and systems for telecommunications and energy markets, undersea telecommunication systems, and speciality products. The Tyco Electronics Energy division is the leading manufacturer of power cable accessories that includes the internationally recognised Raychem brand, connectors and fittings, insulators and surge protectors, insulation enhancement and many more. Tyco Electronics has been at the forefront of the energy industry for the last 50 years and through continual innovation and product development is still the brand of choice today. Comprising three United Kingdom subsidiaries of Sicame Group (WT Henley, Sicame Electrical Developments and Sicame Electrical Distribution) - Sicame UK offers a comprehensive portfolio of DNO Approved products to the power distribution industry. Our UK based manufacturing and warehousing facilities provide the best quality low and medium voltage cable jointing & termination kits, mechanical connectors, termination lugs & the UK’s largest manufacturer of advanced polyurethane electrical resins, all manufactured and kitted here in the UK. Sievert AB is a world leading manufacturer specializing in high-quality heating tools for professionals. Sievert has been in business for more than 130 years and today we work together with customers in more than 50 countries all over the world. Our offering contains top-quality products for any type of soldering, brazing or heating task. At Sievert we strive for continuous innovation in the development of our products with new technologies and designs. With almost 50 years’ experience, Socomore are leaders in the research, design, manufacture and supply of specialist chemical solutions for the energy and transport industries across the globe. With a dedicated product range of industry approved solvent cable cleaners and cable pulling lubricants, the Socomore brand is synonymous with quality products across the utility, electrical, telecommunication and manufacturing environments. With locally based sales, technical teams an strategic partnerships, Socomore is able to offer a truly global consumable solution. TE Connectivity is a $12 billion global technology leader. Our commitment to innovation enables advancements in transportation, industrial applications, medical technology, energy, data communications, and the home. TE’s unmatched breadth of connectivity and sensor solutions, proven in the harshest of environments, helps build a safer, greener, smarter and more connected world. With 75,000 people – including more than 7,000 engineers – working alongside customers in nearly 150 countries, we help ensure that every connection counts! Thomas & Betts is a global leader with over 100 years experience successfully supplying quality products by using innovative design and manufacturing techniques. With leading brands such as Furse, Emergi-Lite, Ty-Rap, Adaptaflex, Kopex and PMA. The Thomas & Betts product solutions portfolio includes earthing and lightning protection, emergency lighting and fire detection, cable management, electrical products and flexible conduit systems.